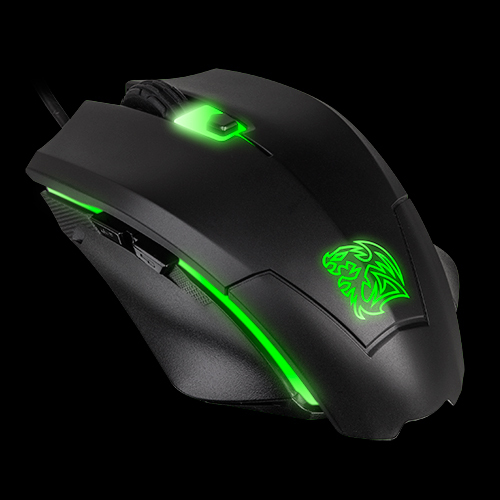 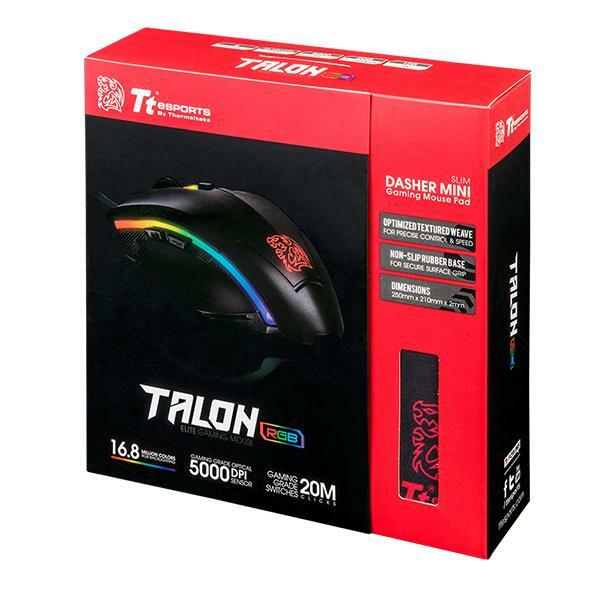 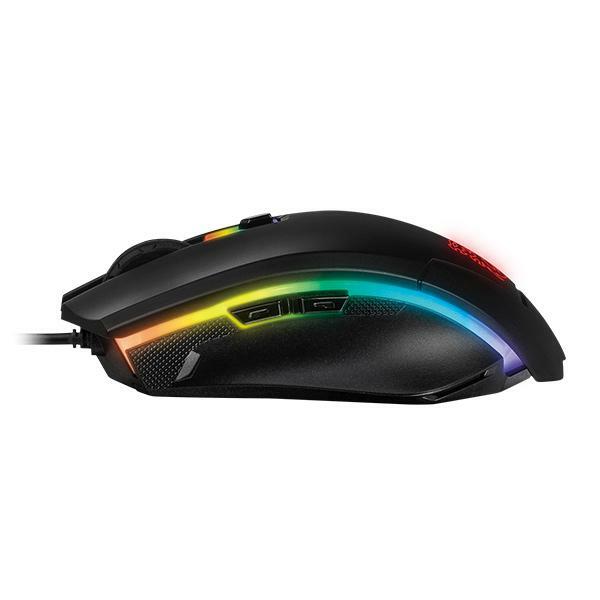 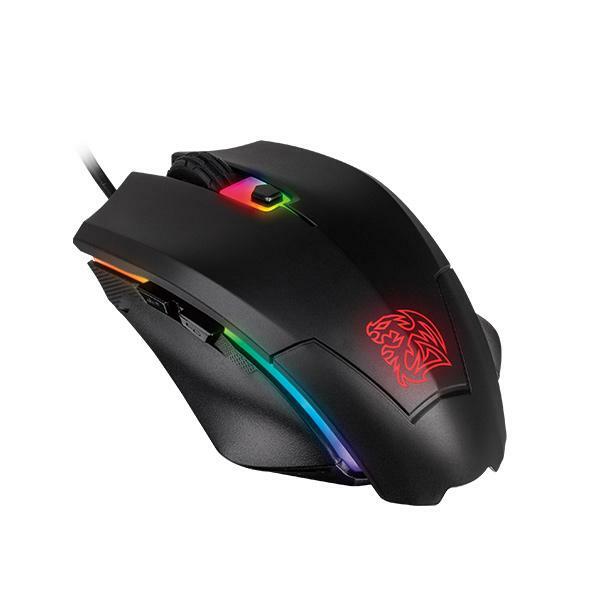 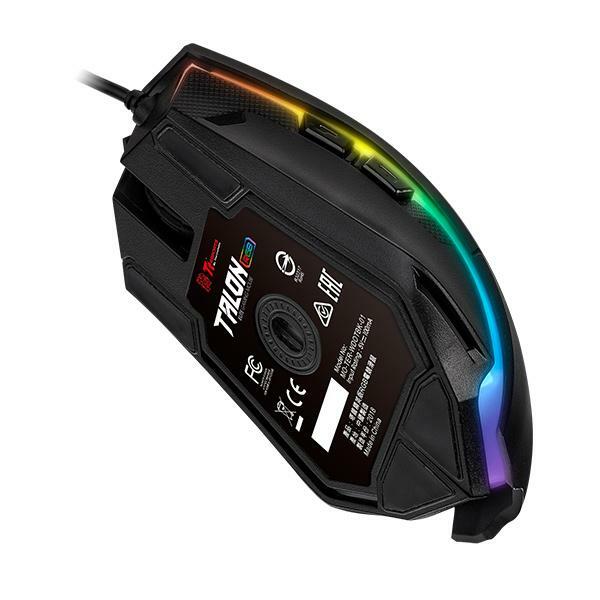 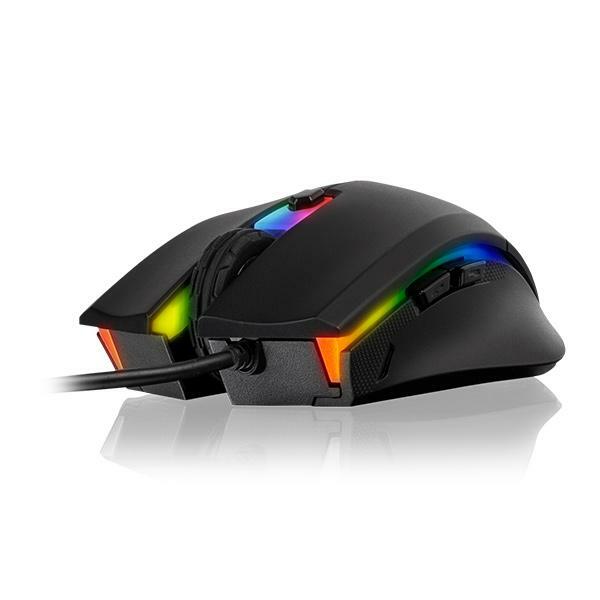 The PIXART Optical sensor on the TALON Elite RGB gaming mouse offers sensitivity up to 5000 DPI (Red 400 DPI / Yellow 800 DPI / Green 1600 DPI / Blue 3200 DPI / Purple 5000 DPI) and provides accurate precision and control during gaming sessions. The use of high quality gaming grade switches with a 20-million click lifestyle provides high durability and gives a crisp clean click with tactile response to further add to your gaming experience. Choose your battle colors and add mood to every gaming session by selecting between 7 dynamic lighting effects across 2 zones. 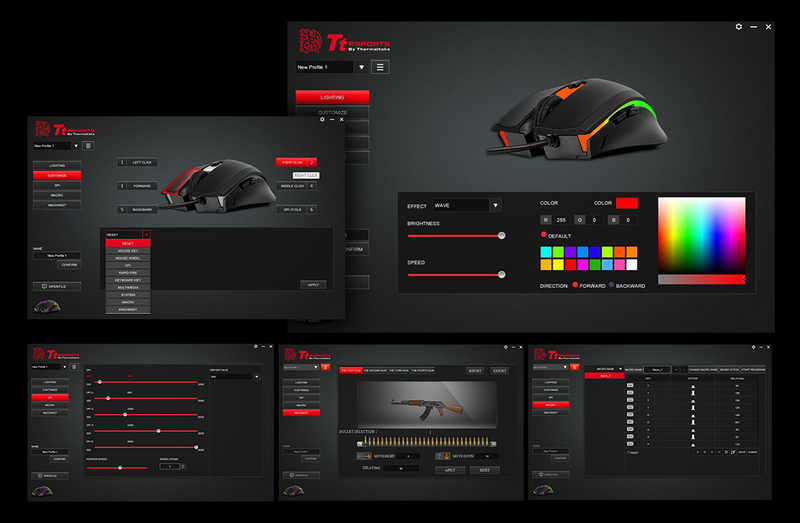 Customize with the Tt eSPORTS gaming software and take control of the most expansive set of macros and personalization options. 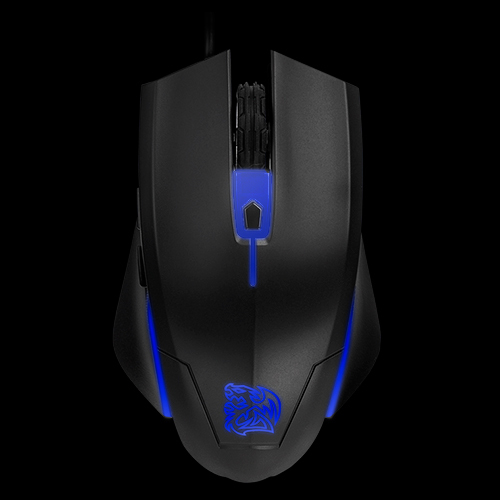 Give yourself full control to change backlighting effects and quick launch custom game profiles. 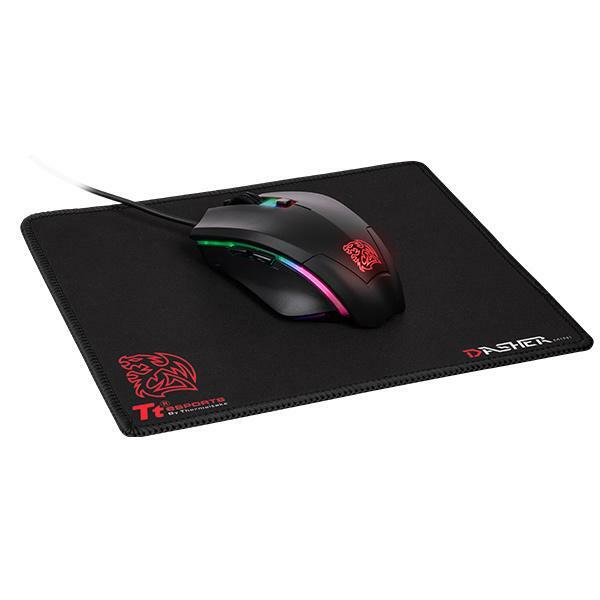 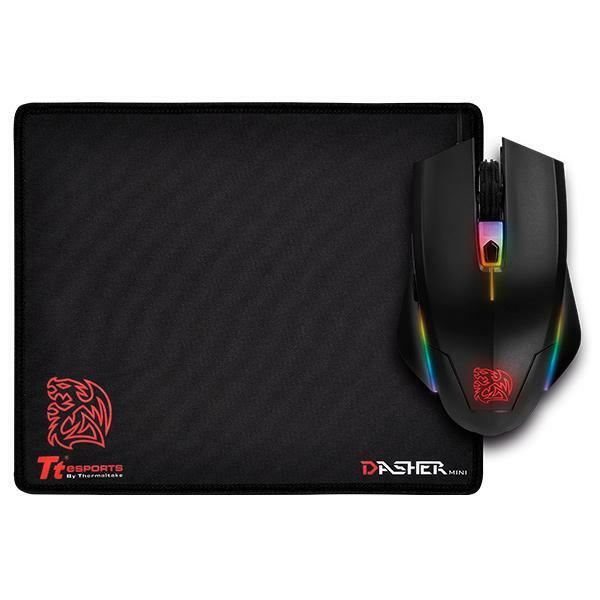 The speed-type mouse pad is incredibly smooth and flat and allows gamers to have precise movements combined with superior feel. 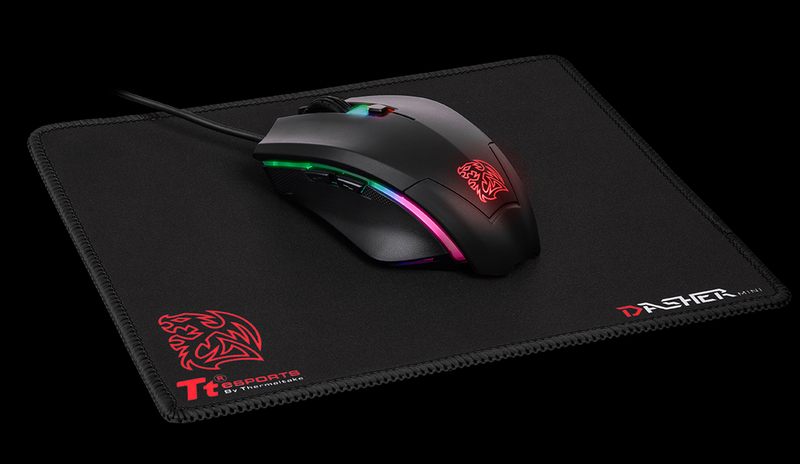 A special non-slip rubber base ensures that the mouse pads will never slip as you game, even in the most intense of battles. 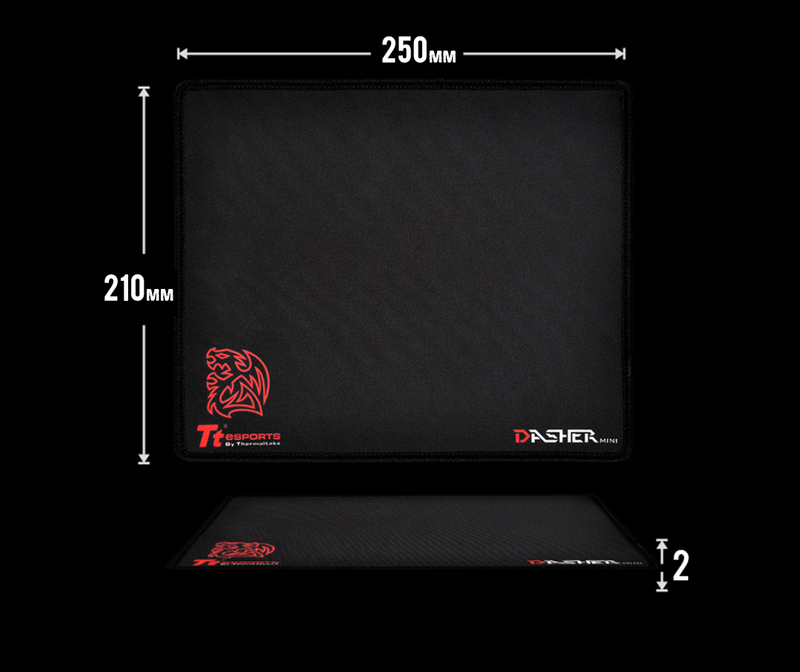 Play with confidence and without having to worry about mouse pad lift-off or slippage, even on glass desks. 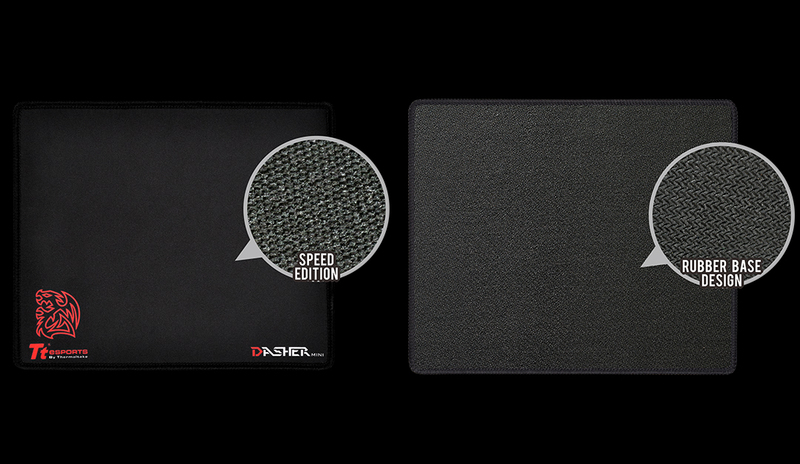 250mm in size, the Dasher Mini Slim is allows for easy storage and portability, wherever, whenever.